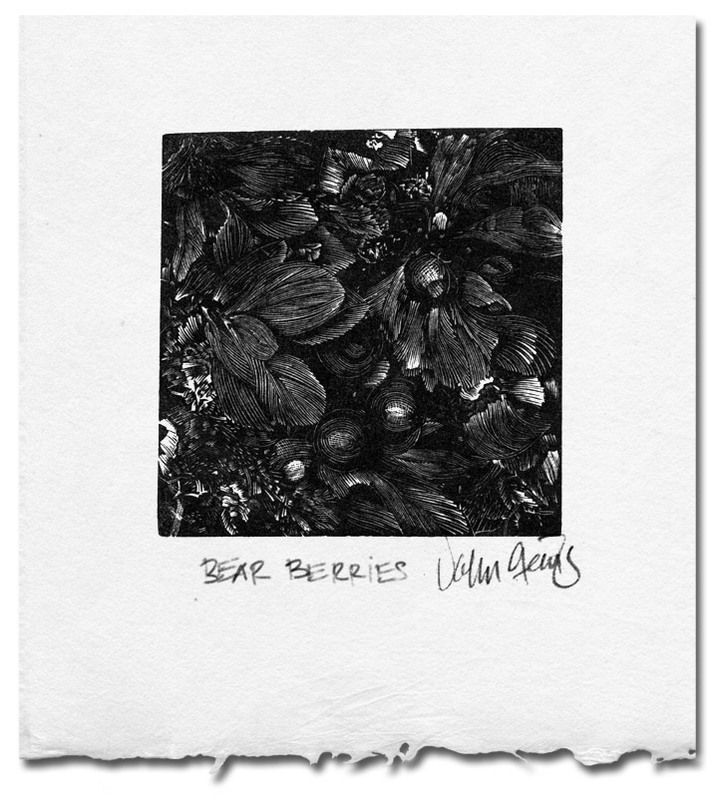 Bear berries are a fruit found on the arctic and sub-arctic tundra floor. Maybe they are called that because bears feed on them. Deckle paper edge for illustration only.